A British company is taking a play out of Elaine Benes' book and is selling only the top half of a Christmas tree. 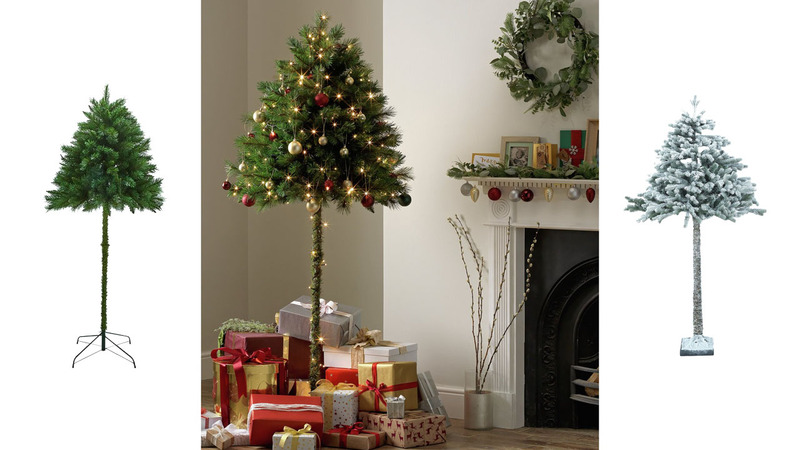 The top-only trees are artificial, but "stunning (sic) realistic-looking" and "perfect for any room," according to Argos, the retailer selling them. The half-tree is perfect for households with curious, crawling children, Grinch-like kitties or lots of presents to pile high. The shrub stands about 6 ft. tall and is "unique and more attractive," according to the retailer. It's available for about $25 in traditional, pre-lit green or you can buy one adorned in fake snow for close to $48.